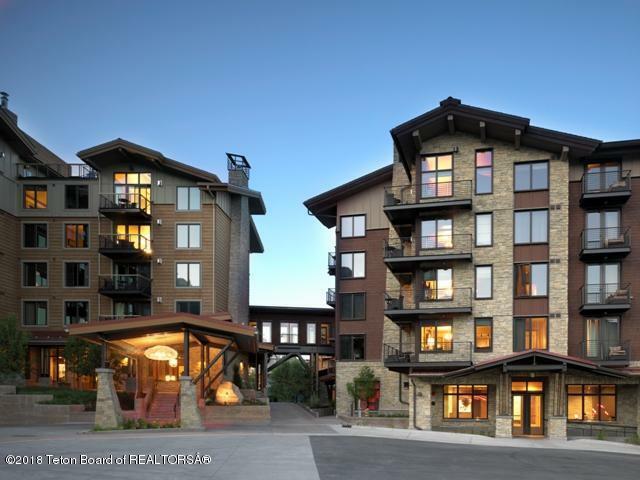 Slopeside Jackson Hole condo in Hotel Terra. 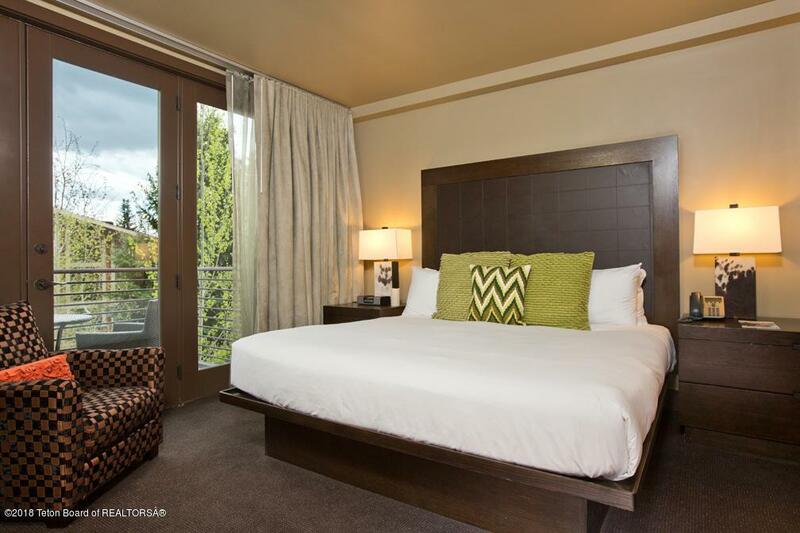 This furnished 1 bedroom 2 bath, lock-off condo features beautiful valley views, fully equipped kitchen, balcony, fireplace, king size bed, queen murphy bed, whirlpool tub/shower in the master bath and a soaking tub/shower in 2nd bathroom. Enjoy all of the first class amenities in this ski-in/ski out Noble House Hotels & Resorts managed AAA 4-Diamond property, including the ultra chic Chill Spa, outdoor pool, roof top hot tub, the very popular Il Villaggio Osteria Italian restaurant and Bar Enoteca. Other amenities and benefits include, room service, concierge services, excellent short term rental income and onsite property management services. 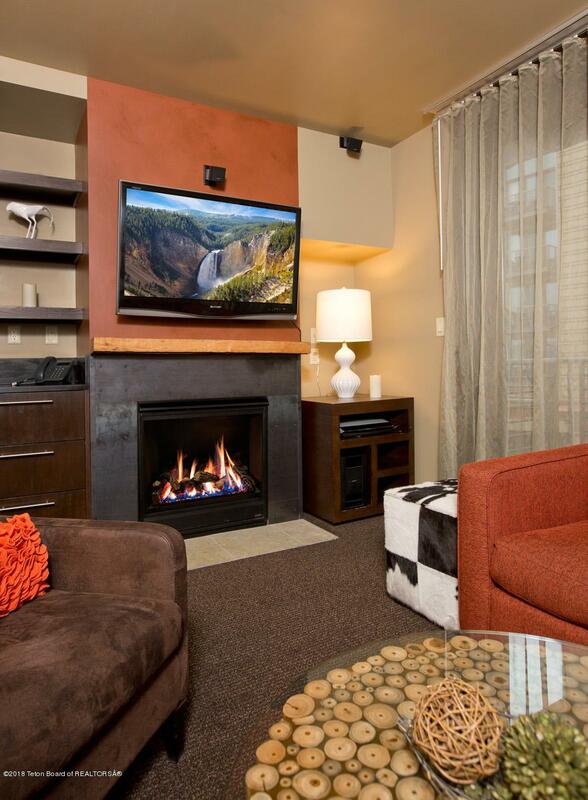 All of this located at the base of the world-renowned Jackson Hole Mountain Resort in Teton Village. Listing provided courtesy of Jeff & Kelli Ward of Jackson Hole Sotheby's International Realty. Listing information © 2019 Teton Board of Realtors MLS. All rights reserved. IDX information is provided exclusively for consumers' personal, non-commercial use and may not be used for any purpose other than to identify prospective properties consumers may be interested in purchasing. Information is deemed reliable but is not guaranteed accurate by the MLS or The Group Real Estate. Data last updated: 2019-04-22T15:02:13.367.